and Dean of Faculty of Engineering (2005-2007). Professor’s Obaidat sound academic leadership is proved by leading the Faculty of Engineering at JUST to obtaining accreditation by the American Board of Engineering and Technology (ABET). Also, he led the administration development committee and put forward the framework of the first strategic plan at JUST. During the period 1997-2000, Prof. Obaidat worked as Roads Expert in Dubai Government where he supervised the planning and the design of mega transportation projects in Dubai City. Owing to his outstanding achievements not only in engineering profession, but also in strategic planning and total quality management, he was awarded Dubai Excellence Prize in 1999. 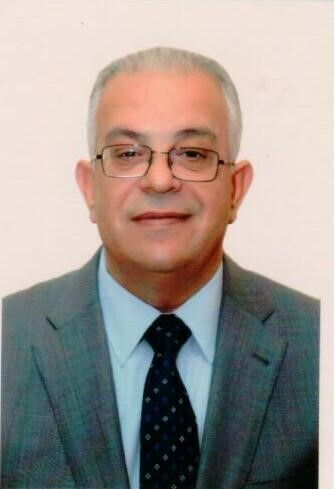 Prof. Obaidat was also the Secretary General of the Ministry of Higher Education and Scientific Research and Director of the Scientific Research Support Fund in Jordan for three years (20072010). During his career, he was involved in different activities and projects related to fund raising, strategic planning, performance measurement, accreditation, and quality assurance of higher education. a. Doctor of Philosophy (Ph.D.) in Civil Engineering (Transportation), Purdue University, USA, May 1988. b. Master of Science in Civil Engineering (Transportation), Yarmouk University, Jordan, May 1984. c. Bachelor of Science in Civil Engineering (General), Tishreen University, Syria, June 1980.
a. Ph.D.: An Evaluation of Effects of Routine Maintenance on Highway Pavement Surface Condition. b. Master: The Effect of Changes in Vehicle Loading Limits – The Case of Jordan. a. Professor of Civil Engineering, on leave at Al-Zaytoonah University of Jordan, Amman, Sep. 2013- Present. b. Professor of Civil Engineering, Jordan University of Science and Technology, Irbid- Jordan, Dec. 2001- Present. c. Associate Professor of Civil Engineering, Jordan University of Science and Technology, Irbid – Jordan, Dec. 1993– Dec. 2001. d. Associate Professor of Civil Engineering, United Arab Emirates University, Al- Ain, U.A.E, Sept. 1995 – Aug. 1997. e. Assistant Professor of Civil Engineering, Jordan University of Science and Technology, Irbid – Jordan, Sept. 1988 – Dec. 1993. f. Full time Lecturer, Jordan University of Science and Technology (JUST), Irbid- Jordan, Aug. – Sept. 1988. g. Post Doctoral Research Associate, Purdue University, USA, May – Aug. 1988. h. Part-time Lecturer, Howara Community College, Irbid- Jordan, 1981 – 1983. i. Part-time Lecturer, Ibin Khaldoon Community College, Irbid-Jordan, 1982 -1983. j. Teaching Assistant, Yarmouk University, Irbid-Jordan, Oct. 1980 – Aug. 1985.
a. President, Al-Zaytoonah University of Jordan, June 2015 – present. b. Vice President for Scientific Faculties, Al-Zaytoonah University of Jordan, Oct. 2014 – June 2015. c. Vice President, Al-Zaytoonah University of Jordan, Oct. 2013- Sep. 2014. d. Dean of Research and Graduate Studies, Al-Zaytoonah University of Jordan, Oct. 2013- Sept. 2015. e. Secretary General of the Ministry of Higher Education & Scientific Research, July 2007- June 2010. f. Director of the Scientific Research Support Fund (SRSF), June 2007- Jan. 2010. g. Dean, Faculty of Engineering, Jordan Univ.of Science & Technology, Sept. 2005- June 2007. h. Dean of Scientific Research, Jordan University of Science & Technology, Irbid- Jordan, Sept. 2004- Aug. 2005. i. Director of the Consultative Center for Science and Technology (CCST), Jordan University of Science and Technology, Irbid- Jordan, Sept. 2000- Aug. 2004. j. Head, Roads Planning Section, Dubai Municipality, Dubai, U.A.E., Aug. 1997- Sept. 1998. k. Chairman, Department of Civil Engineering, Jordan University of Science and Technology, Irbid- Jordan, Sept. 1993 – Aug. 1995. A- President, Al- Zaytoonah University of Jordan, June 2015 – present: 1. The university entered the QS International Ranking in 2017 among the top 100 Arab universities and the top 10 Jordanian universities. 2. The university entered the International Green Metrics ranking in 2016. The rank of ZUJ improved from 326 to 282 in 2017. 3. The university obtained ISO 9001:2015 certificate which covered all academic and administrative aspects, and focused on risk management and leadership. 4. Faculty of Pharmacy and Faculty of Nursing obtained the Quality Assurance certificate from Accreditation Commission of Higher Education Institutions. 5. Preparation of the following documents for ZUJ: a. Policies Document, 2015. b. Organizational Structure and Job Descriptions, 2016. c. The Strategic Plan (2017-2020). d. The Risk Management Strategic Plan, 2017. 6. Reviewing and development of existing by-laws, regulations, and curriculum. 7. Preparation of new regulations related to scientific research, student affairs, and university environment. B- Vice-President and Dean of Research and Graduate Studies, Al-Zaytoonah University of Jordan, Sept. 2013- June 2015: 1. Development of Key Performance Indicators (KPIs) to monitor the university strategic plan (2012-2016). 2. Preparing regulations, standards, and guidelines for scientific research. 3. Conducting cooperation agreements with international higher education institutions. 4. Monitoring the implementation of the quality assurance system. 5. Coordinating the students and faculty exchange with EU universities supported by ERASMUS + program funded by the European commission. C- Secretary General, Ministry of Higher Education and Scientific Research (MHESR)and Director of SRSF, July 2007-June 2010: 1. Major participation and coordination in preparing the National Strategy for Higher Education and Scientific Research (2007-2012). 2. Follow-up the quality assurance and key performance indicators (KPIs) of the strategic action plans of the public and private universities. 3. Supervising the implementation and quality assurance of the following projects and programs: a. Higher Education Reforms for Knowledge-based Economy Project (HERfKE) in cooperation with the World Bank (WB). b. King Abdullah II Prize for Excellence Governmental Performance and Transparency. c. MHESR Mid-term (3 years) Development Program to achieve the objectives of the National Agenda, in cooperation with the Ministry of Planning and International Cooperation. 4. Preparation of the strategic action plan (2007-2012) for the Scientific Research Support Fund (SRSF). 5. Preparation and implementation of the by-laws, regulations, standards and guidelines, and performance indicators for the SRSF. 6. Coordinating and strengthening the relationship between the MOHESR and different local, regional and international organizations and agencies (WB, UNDP, USAID, EU, etc…) in issues related to higher education and scientific research. D- Dean of Engineering, Dean of Scientific Research and Director of the Consultative Center at JUST, Sep. 2000- June 2007: a. Preparation of the Strategic Plan Framework (2005-2010) for Jordan University of Science and Technology (JUST). b. Chairing the Handing Over Committee, King Abdullah I Hospital. c. Leading the Administrative Development Committee at the university level. d. Conducting several lectures and training courses on Total Quality Management (TQM) and quality assurance to the employees at JUST. e. Supervising the implementation and quality assurance of the consultations, studies and short training courses in the Consultative Center for Science and Technology. f. Supervising the international projects in the Faculty of Engineering. g. Preparation of the strategic action plan for the Faculty of Engineering. h. Leading the preparation and coordination activities in the Faculty of Engineering to fulfill the requirements of ABET Accreditation. 1. Preparation of the plans and development studies to improve the technical and administrative performance of Roads Department, General Projects Department and Follow-up and Development Office for Roads and General Projects Sector. These studies handled the following main issues : a. Strategic Planning. b. Total Quality Management ( TQM) and Quality Assurance. c. Performance Measurement and Indicators. d. Value Engineering (VE). e. Intelligent Transportation Systems ( ITS). f. Dubai Program for Excellence Performance. 2. Development of the existing Pavement Management System ( PMS ) and training the engineers and technicians incharge of the road network pavement evaluation and estimation of maintenance and rehabilitation needs. 3. Preparation of the terms of reference and supervising the study and design stages related to roads rehabilitation projects through international consultants. These projects are : a. Rehabilitation of Margham Road ( R657 ) . b. Rehabilitation and Road Safety Audit of Hatta Road ( R647 ) . c. Rehabilitation and Road Safety Audit of Jabal Ali – Lehbab Road (R708). 4. Chairman of the technical committees that supervised the study and design stages of the following big road projects through international consultants : a. Dubai Ring Road ( R577 and R677 ) . b. Improvement of Al Ittihad Road ( R682 ) . c. Comprehensive Improvement of interchanges at Sheikh Zayed Road (R659). 5. Supervised the preparation of the following technical manuals and research projects conducted by international consultants : a. Geometric Design Manual for Dubai roads (R660). b. Traffic Impact Studies Guide for land use and development control in Dubai. c. Asphalt Mix Design Research and Pavement Design Manual (R360/1). 6. Conducting the following short training courses for the engineers in Roads Department: a. Geometric Design of Highways . b. Design of Flexible pavements. c. Pavement Management Systems. d. Pavement Evaluation Procedures and Maintenance & Rehabilitation needs. e. Feasibility Studies of Transportation Engineering Projects . 7. Participation in preparing and reviewing the roads maintenance contract documents sponsored by General Maintenance Department. F- Part-time Consultant for Road Affairs, Ministry of Public Works and Housing, Amman – Jordan, April 1993 – Aug. 1995. – Development of road data bank – Preparing technical reports regarding the evaluation and maintenance of existing roads. – Conducting several studies on traffic safety, pavement performance and maintenance management. E- Consultant for the following engineering projects at JUST, Sept. 1988 – Aug. 1995: – Design of the highway and main interchanges near the University. – Evaluation of road network condition inside the University. – Design of parking garages for King Abdullah Hospital. a. Graduate Level Courses (JUST) CE 741 Analytical Techniques in Transportation. CE 743 Advanced Pavement Design. CE 745 Pavement Management System. CE 703 Symposium in Civil Engineering (Master Program). CE 809 Symposium in Civil Engineering (Ph.D program). b. Undergraduate Level Courses (JUST) CE 200 Engineering Drawing. CE 341 Surveying. CE 343 Surveying Laboratory. CE 344 Route Surveying. CE 442 Highway and Traffic Engineering. CE 546 Highway Maintenance. CE 591 Graduate Transportation Engineering Project – Part I. CE 592 Graduate Transportation Engineering Project – Part II. CE 442 Highway Design (modified curriculam). CE 443 Pavement Materials & Design (modified curriculam). c. Undergraduate Level Courses (U.A.E University) 50700225 Fundamentals of Engineering 1-A. 50711215 Statics. 50713473 Highway Engineering. 50713518 Advanced Highway Engineering. 50713517 Transportation Engineering. 50713520 Special Topics in Transportation Engineering. 50719585 Senior Project I. 50719590 Senior Project II. d. Community College Level Courses: (Jordan) – Soil Mechanics. – Reinforced Concrete. – Route Surveying. – Sanitary Engineering. a. Highway Maintenance Management System. b. Evaluation of Pavement Condition and Performance. c. Pavement Design. d. Traffic Accident Analysis. e. Cost Effectiveness of Transportation Engineering Projects. f. Axial Load Distribution and Analysis. g. Impact of Traffic and Transportation Projects on Environment. h. Value Engineering. i. Quality Assurance and Accreditation of Engineering Education. j. Strategic Planning, Quality Assurance and Performance Measurment for Higher Education and Scientific Research. 1. Osama N. Abu Daoud, “Pavement Distresses Evaluation of the Promary Roads Network in Jordan Using Startegic Highway Research Program (SHRP) Procedure”, August 2014. 2. Abdullah I. Al-Adhami, “Development of Pavement Quality Index (PQI) for the Primary Road Network in Jordan”, August 2014. 3. Khaled E. Al-Balas, “Performance-Based Comparison between Superpave and Marshall Asphalt Mixtures Using Limestone Aggregates in Jordan”, May 2011. 4. Fatin I. Abu Al-Bandoura, “Traffic Safety at Roundabonts in Jordan”, Aug. 2006. 5. Ala’a M. Al-Sharo’a, “Effect of Utility Cuts on Pavement Condition of the Street Network in Irbid City”, Aug. 2006. 6. Muna S. Shdeifat, “Evaluation of Road Pavement Maintenance by Contract in Jordan”, Jan. 2005. 7. Ghassan T. Abdul-Jabbar, “Field Inspection and Laboratory Testing of Highway Pavement Rutting in Jordan”, Aug. 1995. 8. Eswan A. Gawdet, ” Development of A Procedure to estimate Resurfacing Needs for the Primary Highways in Jordan”, July, 1995. 9. Ahmad S. Al-Atieh, “Development of an Instrument for Recording and Evaluating Pavement Roughness-JUST Profilometer”, June 1994. 10. Munther Y. Al-Kofahi, “Evaluation of Pavement Deterioration of the Street Network in Irbid City”, Dec. 1993. 11. Ghazi G. Al-Khateeb, “Effect of Traffic Movement and Volume on Air Pollution in Irbid City”, Dec. 1993. 12. Majed Q. Al-Zumot, “Prediction of Traffic Accidents in Jordan”, Nov. 1993. 13. Jehad Q. Al-Azzam, “Evaluation of Pavement Distresses of Rural Roads in Jordan”, Sept. 1993. 14. Khaled Y. Abu-Abed, “Effect of Using Different Pavement Surface Material on Skid Resistance and Pavement Condition”, April 1993. 15. Adnan M. Shiyab, “Evaluation of Military Airfield Pavement in Jordan”, December 1992. 16. Husni M. Abu-Assi, “Evaluation of the Status of Street Network in Municipalities in Jordan”, March 1992. 17. Moh’d S. Kheder, “Development of Maintenance Strategies for the Rural Road Network in Jordan”, Oct. 1991. 18. Yahya A. Al-Smadi, “Evaluation of Pavement Surface Condition and Maintenance Expenditures in Amman City”, March 1991. 19. Rafique Q. Mansour, “The Effect of Axle Load Limit Policy on Land Transport Cost in Jordan”, June 1990. 1. Development of a Maintenance Management System for the Roads and Parking Network at Al-Zaytoonah University of Jordan (ZUJ). Turki I. Al-Suleiman (Obaidat), Sobhi M. Al-Bazlameet and Hisham S. Ahmad. Project No. 15/2015, Supported by the Deanship of Research at ZUJ, May 2015- Oct. 2017 (JD 48,850). 2. Pavement Distress Evaluation of the Primary Roads Network in Jordan using the Strategic Highway Research Program (SHRP) Procedure. Turki I. Al-Suleiman (Obaidat) and Osama Nasri Abu- Daoud. Project No. 220/2013, Supported by the Deanship of Research at JUST, Nov. 2013- Sept. 2014 (JD 4,640). Project No. 25/90, Supported by the Deanship of Research at JUST, Feb. 1990-Jun. 1991 (JD 3,000). 14. Development of an Instrument for Recording and Evaluating Pavement Roughness. Turki I. Al-Suleiman (Obaidat) and Adnan A. Basma. Project No. 4/90, Supported by the Deanship of Research at JUST, Sep. 1990-Feb. 1992 (JD 4,500). Supported by Tempus Program, European Commission, Feb. 2004-Feb. 2007 (€ 391,693). 21. Develepment of infrastructure services in cities and urban areas in Jordan, funded by the World Bank, April 2004- Nov. 2006 ($ 55,000). 22. Develepment of pavement design scenarios of Dubai-Fujairah freeway. Wilbur Smith Associates, USA, April 2003- July 2003 ($ 36,000). 23. Develepment of a comprehensive trafic study for Municipility of Greater Irbid, Jun. 2001- Dec. 2003 (JD 10,000). 24. Development of the existing pavement management system for Dubai Municipality (DMPMS), Texas Research and Development Institute (TRDI), USA, Sept. 2000- Aug. 2001 ($ 47,000). 25. Development of a data bank and maintenance management system for the road network in Jordan, Ministry of Public Work and Housing, April 1993- Aug. 1995 (JD 10,800). 26. Short training courses inside and outside Jordan pertaining to Transportation Engineering, Total Quality Management, Value Engineering, and Maintenance Management Systems 1989- 2010 (JD 110,000). 11. Publications (Google Scholar, H-index=9; Research Gate, RG= 16.26). 1. Ghazi G. Al-Khateeb, Turki I. Al-Suleiman (Obaidat), Taisir S. Khedaywi, and Mohammad S. Elayan, “Studying Rutting Performance of Superpave Asphalt Mixtures using Dynamic Greep and Simple performance Tests”, Road Materials and Pavement Design Jornal, Volume 19, Issue. 2, 2016, pp. 315-333. 2. Turki I. Al-Suleiman (Obaidat) and Mohammad S. Elayan, “Gap Acceptance Behavior at U-Turn Median Openings – Case Study in Jordan”, Jordan Journal of Civil Engineering, Volume 7, No. 3, 2013, pp. 332-341. 3. Ghazi G. Al-Khateeb, Taisir S. Khedaywi, Turki I. Al-Suleiman (Obaidat), and Ahmad Mirwais Najib, “ Laboratory Study for Comparing Rutting Performance of Limestone and Basalt Superpave Asphalt Mixtures”, Journal of Materials in Civil Engineering, ASCE, Vol. 25, No. 1, Jan. 2013, pp. 21-29. 4. Turki I. Al-Suleiman (Obaidat), Shdeifat, M.S., and Ramadan, K.Z., ” Evaluation of Road Pavement Maintenance by Contract in Jordan, ” Jordan Journal of Civil Engineering, Vol.1, No. 3, 2007, pp.221-233. 5. Turki I. Al-Suleiman (Obaidat) and Adnan M. S. Shiyab, “ Prediction of Pavement Remaining Service Life Using Roughness Data- Case Study in Dubai “, International Journal of Pavement Engineering, Vol. 4, No. 2, June 2003, pp. 121-129. 6. Turki I. Al-Suleiman (Obaidat), M.T. Obaidat, G.T. Abdul-Jabbar and T.S. Khedaywi, “ Field Inspection and Laboratory Testing of Highway Pavement Rutting”, Canadian Journal of Civil Engineering, Vol. 27, No. 6, Dec. 2000, pp. 1-11. 7. Turki I. Al-Suleiman (Obaidat), N.A. Saeed and J.Widdup, “ Towards the Development of An Improved Asphalt Overlay Design Procedure for Major Roads in Dubai “, Road and Transport Research Journal , Australian Road Research Board ( ARRB ) , Vol.9 , No.1 , March 2000 , pp.20 –33. 8. Turki I. Al-Suleiman (Obaidat) and Saad A. Abo-Qudais,, “Practice, Performance and Life Cycle Cost Analysis of Concrete Pavement in Jordan”, Journal of Routes/Roads, World Road Association (PIARC), No. 301, Jan. 1999, pp. 41 – 48. 9. Turki I. Al-Suleiman (Obaidat), M. T. Obaidat, and Riad M. Nuseir, “Evaluation of Road Maintenance Management System in Jordan”, Journal of Indian Highways, Indian Road Congress, Vol. 26 No. 10, Oct. 1998, pp. 49 – 56. 10. Hashem R. Al-Masaeid, Turki I. Al-Suleiman (Obaidat) and M. T. Obaidat, “Traffic Volume Forecasting Models for Rural Desert Towns”, Institute of Transportation Engineers (ITE) Journal on the Web, May 1998, Abstracted on page 13 of its ITE Journal on the Web Publication http:www.ite.org. 11. M. T. Obaidat, Turki I. Al-Suleiman (Obaidat) and K. A. Ghuzian, “A Stereometric Knowledge Based System for Maintenance of Street Networks”, Canadian Journal of Civil Engineering, Vol. 25, No. 2, Apr. 1998, pp. 220 – 231. “Effect of Aggregate Type on Pavement Skid Resistance of Rural Roads”, Highway Research Bulletin, Indian Road Congress, No. 56, Jun. 1997, pp. 71 – 80. 17. M. T. Obaidat, Turki I. Al-Suleiman (Obaidat), and G.T. Abdul-Jabbar, “Quantification of Pavement Rut Depth Using Stereo Vision Technology”, Journal of Surveying Engineering, ASCE, Vol. 123, No. 2, May 1997, pp. 55 – 70. 18. M. T. Obaidat and Turki I. Al-Suleiman (Obaidat), “A Proposed Information Technology Framework to Improve Road Maintenance Management Systems”, The International Journal of Construction Information Technology (CIT), Vol. 4, No. 2, Winter 1996,, pp. 85 – 93. 19. Turki I. Al-Suleiman (Obaidat) and G.G. Al-Khateeb, “Effect of Traffic Movement and Delay on Air Pollution”, Road and Transport Research Journal, Australian Road Research Board (ARRB), Vol. 5, No. 4, Dec. 1996, pp. 4-18. 20. Turki I. Al-Suleiman (Obaidat), A.M. Shiyab, and H.R. Al-Masaeid, “Development of Models for Prediction of Airfield Pavement Deterioration”, Road and Transport Research Journal, Australian Road Research Board (ARRB), Vol. 5, No. 3, Sept. 1996, pp. 82-95. 21. H. R. Al-Masaeid, Turki I. Al-Suleiman (Obaidat), M. M. Hamed, and K. R. Halawa, “Impacts of Small Rural Towns on Road Safety and Traffic Operation”, Journal of Road and Transport Research, Australian Road Research Board, Vol. 3, No. 1, March, 1994, pp. 86-98. 22. Hashem R. Al-Masaeid, Turki I. Al-Suleiman (Obaidat), and Donna C. Nelson, “Pedestrian Speed-Flow Relationship for CBD Areas in Developing Countries”, Transportation Research Record 1396, Transportation Research Board, National Research Council, Washington, D.C., 1993, pp. 69-74. 23. Sanjay Asnani, Khaled Ksaibati, and Turki I. Al-Suleiman (Obaidat), “Consistence of Roughness and Rut Depth Measurements Collected with Eleven South Dakota Road Profiles”, Transportation Research Record 1410, Transportation Research Board, National Research Council, Washington, D.C., 1993, pp. 41-51. 24. Turki I. Al-Suleiman (Obaidat), Adnan A. Basma, and Khaled Ksaibati, “An Examination of Pure Environmental Effects on Pavement Condition”, Transportation Research Record 1388, Transportation Research Board, National Research Council, Washington, D.C., 1993, pp. 52-59. 25. Turki I. Al-Suleiman (Obaidat), Adnan A. Basma, Y. F. Al-Soboh and T. S. Khedaywi, “Effect of Highway Class on Flexible Pavement Serviceability”, Journal of Indian Highways, Indian Road Congress, Vol. 21, No. 1, 1993, pp. 13-22. 26. Turki I. Al-Suleiman (Obaidat) and Yahya A. Al-Smadi, “Pavement Condition Evaluation and Modeling of the Street Network in Amman City”, Mu”tah Journal of Research and Studies, Natural and Applied Science Series, Mu”tah University, Vol. 7, No. 2, Dec. 1992, pp. 37-63. 27. Turki I. Al-Suleiman (Obaidat), “Evaluation of Traffic Helpers Idea in Irbid District”, Road Safety Journal, Jordan Society for the Prevention of Road Accident, Amman, Jordan, Vol. 9, No. 3, Dec. 1992, pp. 30-32 (in Arabic). 28. Turki I. Al-Suleiman (Obaidat), M. S. Kheder and Hashem R. Al-Masaeid, “Development of Pavement Performance Models for Rural Roads”, Journal of Road and Transport Research, Australian Road Research Board, Vol. 1, No. 4, Dec. 1992, pp. 88-101. 29. Turki I. Al-Suleiman (Obaidat) and Hashem R. Al-Masaeid, “Descriptive Model for Fatality Rates of Traffic Accidents in Jordan”, Journal of Institute of Transportation Engineers(ITE), Vol. 62, No. 4, April 1992, pp. 37-39. 30. Turki I. Al-Suleiman (Obaidat), “Effect of Vehicles and Engineering Design of Roads on Noise”, Environmental Message Journal, The Jordanian Society for the Control of Environmental Pollution, Vol. 1, No. 2, March 1992, Amman, Jordan, pp. 36-40 (in Arabic). 31. Turki I. Al-Suleiman (Obaidat), “Effect of Traffic and Engineering Design of Roads on Air Pollution”, Environment Message Journal, The Jordanian Society for the Control of Environmental Pollution, Vol. 1, No. 1, Dec. 1991, Amman, Jordan, pp. 32-35 (in Arabic). 32. Turki I. Al-Suleiman (Obaidat) and R. Q. Mansour, “Effect of Axle Load Limit on Land Transport Cost in Jordan”, Journal of Arab Land Transport, 10th Year, No. 22, Dec. 1991, Amman, Jordan, pp. 25-29 (in Arabic). 33. Turki I. Al-Suleiman (Obaidat), K. C. Sinha, and J. D. Riversion, “Effect of Pavement Age and Traffic on Maintenance Effectiveness”, American Society of Civil Engineers (ASCE), Journal of Transportation Engineering, Vol. 117, No. 6, Nov./Dec. 1991, pp. 644-659. 34. T. S. Khedaywi, Turki I. Al-Suleiman (Obaidat), and Ezzidin Katkhuda, “Current Methods of Pavement Evaluation in Jordan”, Journal of Road Research, Australian Road Research Board, Vol. 21, No. 2, June 1991, pp. 6-15. 35. Turki I. Al-Suleiman (Obaidat), A. H. Al-Balbissi, and A. H. Al-Shihab, “Analysis of the Factors that Cause Vehicle Accidents in Irbid City”, Road Safety Journal, Jordan Society for the Prevention of Road Accidents, Amman, Jordan, Vol. 6, No. 20, June 1990, pp. 26-28 (in Arabic). 36. Adnan A. Basma and Turki I. Al-Suleiman (Obaidat), “Climate Consideration in New AASHTO Flexible Pavement Design”, American Society of Civil Engineers (ASCE), Journal of Transportation Engineering, Vol. 117, No. 2 Mar/Apr. 1991, pp. 210-223. 37. Turki I. Al-Suleiman (Obaidat), “Effect of Axle Loads Changes on Highways in Jordan”, Qatar Construction Magazine, Doha, Qatar, Vol. 1, No. 10, Oct. 1989, pp. 52-57 (in Arabic). 38. Turki I. Al-Suleiman (Obaidat), K. C. Sinha, and Thomas Kuczek, “Effect of Routine Maintenance Expenditure Level on Pavement Service Life”, Transportation Research Record 1216, Transportation Research Board, National Research Council, Washington, D.C., 1989, pp. 52-57. 39. Turki I. Al-Suleiman (Obaidat), K. C. Sinha, and V. L. Anderson, “Effect of Routine Maintenance on Pavement Roughness”, Transportation Research Record 1205, Transportation Research Board, National Research Council, Washington, D.C., 1988, pp. 20-28. Proceedings of the Jordanian Conference on Civil Engineering, University of Jordan, Vol. 1, June 1992. 58. Adnan A. Basma and Turki I. Al-Suleiman (Obaidat), “Economic Feasibility of Lime and Cement Stabilization of Soils in Northern Jordan”, Proceedings of the Jordanian Conference on Civil Engineering, University of Jordan, Vol. 1, June 1992. 59. Adel R. Awad and Turki I. Al-Suleiman (Obaidat), “The Environmental Impact of Transport System and Policies”, Presented at the 32nd Science Week, Damascus University, Syria, Nov. 1992. 60. Turki I. Al-Suleiman (Obaidat), T. S. Khedaywi, and Yousuf F. Al-Soboh, “PAVER System in Evaluating Pavement Condition in Developing Countries”, Presented at the 71st Annual Meeting of Transportation Research Board, National Research Council, Washington, D.C., Jan. 1992. 61. Turki I. Al-Suleiman (Obaidat), A. H. Al-Balbisi, and A. H. Al-Shihab, “Effect of Vehicle and Related Variables on Road Accidents”, Proceedings, Symposium on the Effects of Traffic Violation on Road Accidents, Jordan Society for the Prevention of Road Accident, Amman, Jordan, March 1990. 62. Turki I. Al-Suleiman (Obaidat), “Academic Independence at Universities”, Workshop on the Development of Jordanian Higher Education, Economic and Social Council, Dead Sea, Sept. 2017. 63. Turki I. Al-Suleiman (Obaidat), “The Role pf University Research in Sustainable Development” 4 th Arab- Euro Conference on Higher Education (AECH 4), Morocco, April 2017. 64. Turki I. Al-Suleiman (Obaidat), “Governance in Jordanian Higher Education legislations between Theory and Practice”, The First Forum of Jordanian Education Society, Dead Sea, April, 2016. 65. Feras M. Al-Azzeh and Turki I. Al-Suleiman (Obaidat), ” Quality Management in Higher Education Institutions: Adaptation or Creation? Case Study at Al-Zaytoonah University of Jordan”, Proceedings of the 6th Annual Conference, The Arab Organization for Quality Assurance in Education, Muscat, Oman, Dec. 2014. 66. Turki I. Al-Suleiman (Obaidat), “ A Road Map for the Investment in the Arab Intellectual Capital”, Keynote Speaker, Proceeding of the 1 st Arab Intellectual Capital, Coordinted by the Arab Organization for Administrative Development and Ministry of Civil Service in Oman, Muscat, April, 2013. 67. Turki I. Al-Suleiman (Obaidat), “ The Role of Strategic Planning in the Development of Higher Education and Determination of its Policies”, Symposium on Strategic Planning in Higher Education, Coordinated by the Union of Islamic Universities, Yarmouk University, Irbid-Jordan, Oct. 2012. 68. Turki I. Al-Suleiman (Obaidat), “Higher Education in Jordan: Achievements and Challenges”, Presented in the Jordanian Society for Sciences and Culture, Amman, Jordan, April 2011. 69. Turki I. Al-Suleiman (Obaidat), “Funding of Scientific Research in Jordan and its Relation to Drivers of Change,” The 15 th Jordan Science Weak, Higher Council for Science & Technology, Amman, Jordan, May 2010. 70. Turki I. Al-Suleiman (Obaidat) and Waleed Maani “The Reality of Higher Education in Jordan”, The 12 th Conference for Ministers of Higher Education & Scientific Research in the Arab World, Lebanon, Dec. 2009. 71. Turki Al-Suleiman (Obaidat), Fayez Khasawneh, and Shadi Masaedeh,” Higher Education in Jordan”, the Regional Arab Conference on Higher Education, Cairo, Eygpt, June 2009. 72. Fuad Gharaybeh and Turki I. Al-Suleiman (Obaidat), “Experience and Evaluation of Engineering Education in Jordan”, Proceedings of the 2 International Conference on Engineering Education and Training (ICEET-2), Kuwait, April 2007. 73. Turki I. Al-Suleiman (Obaidat) “Development of Accreditation Standards for Civil Engineering”, Symposium on Recent Techniques in Engineering Teaching and Training, Union of Arab Engineers and Association of Jordanian Engineers, Amman-Jordan, May 2005. 74. Turki I. Al-Suleiman (Obaidat) and Munther Kandah, “JUST Experience in Supporting Jordanian Industry”, First Industrial Scientific Day, Al- Hasan Industrial Zone, Irbid- Jordan, May 2004. 75. Turki I. Al-Suleiman (Obaidat), Adnan Sahawneh and Talal Hijazi, “The Experience of Jordan University of Science and Technology in Development and Training of Human Resourses”, Proceedings of The Third Arab Conference in Administration, Arab Organization for Administative Development, Lebanon, Oct. 2002. 76. Shawkat Q. Hailat and Turki I. Al-Suleiman (Obaidat), “Desriptive and Analytical Statistical Study of Parallel Program at Jordan University of Science and Technology”, Proceedings of the 23 rd Conference on Registration and Admition at Arab Universities (ARAB-ACRAO), Amman- Jordan, April 2002. 77. Sa’ad Hijazi, Hazem S. Zibdeh and Turki I. Al-Suleiman (Obaidat), “CyberCity: An Example of JUST Commitment to Development of Jordan”, International Conference on Scientific and Technological Entrepreneurship in Universities and Research Institutes, Beirut –Lebanon, Nov., 2000. 4. Member, Preparation Committee of Quality Assurance Criteria in Higher Education Institutions, Accreditation Comission of Higher Education Institutions, Jordan, 3/2014 – 10/2014. 5. Vice-Chair, Board of Scientific Research Support Fund (SRSF), Ministry of Higher Education and Scientific Research, July 2007- June 2010. 6. Member, Higher Education Council, Ministry of Higher Education and Scientific Research, July2007- June 2010. 7. Member, Education Council, Ministry of Education, Sep. 2007- June 2010. 8. Member, E-TVET Council, Ministry of Labor, Feb.2008- June 2010. 9. Member, Board of the National Center for the Human Resource Development, July 2007- June 2010. 10. Member, Board of the National Information Technology Center, July 2007- June 2010. 11. Vice Chairman, the Higher Committee for Certificates Equalivancy, Ministry of Higher Education & Scientific Research, July 2007- June 2010. 12. Vice Chairman, the Higher Committee for Certificates Recognition, Ministry of Higher Education & Scientific Research, July 2007- June 2010. 13. Member, Steering Committee, Higher Education Development for Knowledge Economy Project in cooperation with the World Bank, Sept. 2007- Oct. 2009. 14. Chairman, Steering Committee, Bridging the Gap between University Graduates and the Requirements of Labor Market in cooperation with the UNDP, Oct. 2007- Dec. 2009. 15. Chairman, Steering Committee, Determination of National Research Priorities for the Coming Next 10 Years, a project funded by SRSF and implemented by the Higher Council for Science and Technology (HCST), June 2009- Oct. 2010. 16. Chairman, Steering Committee, the National Conference for Development of Study Plans, Methods of Education and Learning, and Scientific Research, Amman, Jordan, June 2010. 17. Chairman, Roads Maintenance Code Committee, Ministry of Public Works and Housing, Jordan, Oct. 2006- July 2007. 18. Member, Board of Trustees, Al Zarqa Private University , Jordan, Dec. 2005 – July 2007. 19. Chairman, Higher Technical Committee for Engineering Programs, University Achievement Exam, Ministry of Higher Education and Scientific Research, Amman – Jordan, Dec.2005 – July 2007. 20. Member, National Technical Committee for Roads’ Codes, Ministry of Public Works and Housing , Jordan, June 2005 – July 2007. 21. Engineering Technical Committee, Jordanian Accreditation Board, Ministry of Higher Education and Scientific Research, June 2004- July 2007. 22. The National Committee for Scientific Research, Ministry of Higher Education and Scientific Research, Sept. 2004-Sept.2005. 23. Chairman of Human Resourses Development Committee, technical team, Development of Greater Amman Strategy 2020, March 2004- June 2005. 24. Technical Committee, Industrial Research and Developement Fund, Higher Council for Science and Technology, Sept. 2001-August 2004. 25. Royal Committee for Training and Development of Retired Service Men and Veterans, Ministry of Education, Oct. 2001-August 2004. 26. Human Resources Committee, Jordan 2020 Scenarios, The Higher Council for Science and Technology, Dec. 2000- August 2001. 27. Data Bank and Road Master Plan Committee, Ministry of Public Works and Housing (MPWH), April 1993-Aug. 1995. 28. Road Accidents Investigation and Reconstruction Manual Committee, Technical Office for Traffic Studies, Public Security Directorate, March – June, 1993. 29. Chairman of the Technical Committee for Traffic and Accident Evaluation in Irbid Governorate, Jordan, Feb. 1993 – Aug. 1995. 30. The National Committee for Remote Sensing, Jordanian Geographic Center, Oct. 1992 – Feb. 1994. 31. President, Jordan Society for the Prevention of Road Accidents, Irbid Branch, 1990 – Aug. 1995. 1. Higher Committee for Strategic Planning, July, 2005 – June 2007. 2. Chairman of Scientific Research Committee, Sept. 2004-Aug. 2005. 3. Deans Council, Sept. 2004-June 2007. 4. Chairman of Administrative Development and Total Quality Management (TQM) Committee, April 2002-June 2007. 5. Follow up Agreement Committee, CyberCity, Oct.2000-Sept. 2001. 6. Faculty Members Private Work Committee, Sept.-Dec. 2000. 7. Chairman of the Handing Over Committee, King Abdullah Hospital, Oct.-Nov. 2000. 8. Technical Committee for Transportation Engineering Projects. 9. University Council, 1992/1993, 2002/2003, 2004/2005, 2005/2006, 2006/2007. 10. Coordinator of the Technical Committee for Evaluation of the JUST Road Network, June 1991 – Aug. 1995. 1. Chairman, Faculty Council, Sept. 2005 – June 2007. 2. Chairman, Graduate Studies Committee – Sept. 2005 – June 2007. 3. Faculty Council, 1989/1990, 1993/1994, 1994/1995 (JUST) 4. Engineering Training Committee, 1991/1992 (JUST) 5. Graduate Studies Committee, 1993/1994, 1994/1995 (JUST). 6. Social Service and Continuous Education Committee, 1995/1996 (U.A.E. University). 7. Scientific Research Committee, 2003/2004 (JUST). 1. Chairman, Studying the condition of laboratories committee, Nov. 2003- Feb. 2004 (JUST). 2. Chairman of Scientific Research Committee, 2003/2004 (JUST). 3. Graduate Studies and Research Committee 1996/1997 (U.A.E. University). 4. Graduate Studies Committee 1995/1996 (U.A.E University). 5. Curriculum Committee 1995/1996 (U.A.E University). 6. Coordinator of the graduate studies and Scientific Research Committee, 1993/1994. (JUST). 7. Consultant of the Scientific Society of Civil Engineering Students, 1988 – 1990. (JUST). 8. Supervisor of Engineering Training, 1991/1992 (JUST) 9. Social Committee, 1989/1990, 1990/1991, 1991/1992, 1992/1993 (JUST). 10. Curriculum Committee, Coordinator, 1989/1991, 1991/1992, 1992/ 1993, 2000/2001 (JUST). 11. Laboratories Committee, 1988-1994. (JUST). 12. Scientific Research Committee, 1989/1990, 1990/1991 (JUST) 13. Graduate Studies Committee, 1989/1990, 1990/1991, 2001/2002, 2002/2003 (JUST). 14. Scientific Research Committee, 2011/2012. 15. Accriditation Committee, 2012/2013. 1. Participation in establishing Irbid Branch of the Jordan Society for the Prevention of Road Accidents, 1983. 2. Major participation in establishing Irbid Branch of the Jordan Society for the Control of Environmental Pollution, 1992. 3. Conducting a number of public speeches related to traffic safety on occasions such as the “International Traffic Day”. 4. Organized several lectures on traffic safety for drivers in Irbid Region. 5. Conducting a number of lectures related to traffic safety at schools in Irbid Region. 6. Conducting a series of lectures on maintenance and management of airfield pavements, Civil Aviation Authority, Amman, Jordan, Aug. 1992. 7. Consulted by the Ministry of Public Works and Housing (MPWH) of Jordan on several road maintenance and evaluation projects. 8. Consulted by the Municipality of Irbid on road maintenance projects, traffic and accident Problems. 9. Major participation in the “Traffic Helpers Idea in Irbid Region” which was organized by the Police Department in Irbid Region. 10. Participation in the preparation of a course on “Traffic-Accident Investigation and Reconstruction”, Public Security Department, Amman, Jordan, 1993. 11. Participation in the Preparation of a proposal to establish a Traffic Village in Al-Ain City, U.A.E University, July, 1996. 12. Training courses on geometric design of highways, pavement design, pavement management systems and transportation economy, Dubai Municipality, Sep. 1998 – Dec. 1998. 13. Conducting a series of lectures on Total Quality Management (TQM) for all level of employees at JUST, Oct. 2000. 14. Training courses on the development of highway pavement design technology, the Consultative Center for Science and Technology (CCST), JUST, June 2001, June 2002, Sept. 2003. 15. Training courses on management and maintenance of highway pavements, the Consultative Center for Science and Technology (CCST), JUST, Aug. 2001, Sept. 2002, May 2004. 16. Training course on surveying, the Consultative Center for Science and Technology (CCST), JUST, May 2002. 17. Training course on recent developments in roads maintenance, Ministry of Municipal Affairs and Agriculture, Qatar, Dec. 2002. 18. Lecture on asphaltic concrete mix design using the Superpave System, Ministry of Public Works and Housing (MPWH), Amman, Jordan, June 2003. 19. Training Course on Train the Trainers, Al- Huson University College, Al- Balqa University, supervised by the Arab Union for Technical Education, March 2004. 20. Founder and President, Al-Yarmouk Comission for Cultural and Social Development, Irdbid, 2004-2008. 21. Conducting a series of lectures on strategic planning at Jordanian Universities, 2005-2007. 1. American Society of Civil Engineers (ASCE), USA 2. Association of Jordanian Engineers. 3. Jordan Society for the Prevention of Road Accidents. 4. Jordan Roads Society. 5. Jordan Society for the Control of Environmental Pollution. 6. Arab Organization for Administrative Development. 7. Jordanian commission for Supporting National Industry. 8. Jordanian Acadimission Society. 9. Society of Faculty Members, JUST. 1. Transportation Engineering Journal, American Society of Civil Engineers (ASCE), USA. 2. Journal of Scientific Studies, Jordan University, Jordan. 3. Journal of Research and Studies, Mu”tah University, Jordan. 4. Journal of Engineering and Technology, Sultan Qaboos University, Oman. 5. Al- Najah University Research Journal, Palestine. 6. Engineering Research Journal, United Arab Emirates University, U.A.E. 7. Third Jordanian Civil Engineering Conference, Jordan Engineers Association. 8. Reviewer of Several Academic Promotions. 9. Jordan International Conference on Sustainable Development of Transportation Systems, Amman-Jordan, April 2004. 10. Evaluation of General Specifications for Construction of Urban Roads in Saudi Arabia, Ministry of Municipal Affairs, Kingdom of Saudi Arabia, April 2005. 11. Arab Engineering Education and Training Conference, Arab Engineers Union, Amman-Jordan, May 2007. 12. Glossary of Trasportation Engineering Terms, Arab Organization for Education, Culture, and Science, Aug. 2007. 13. Member of Editorial Board and Reviewer, Jordan Journal of Civil Engineering, JUST. 14. Research Projects, Council of Scientific Research, Ministry of Higher Education, Palestine, June 2013. 15. The 13 th Annual Conference on Goveronance and Public Administration in the Arab Countries, the Arab Organization for Administrative Development, Cairo, Dec. 2013. 16. The 6th Annual Conference, The Arab Organization for Quality Assurance in Education, Muscat, Oman, Dec. 2014. 17. Evaluation of a book proposal on engineering economy, Prince Sultan University. KSA, Feb. 2015. 1. Appreciation Award “Honoring the creative people who won Arabic and global prizes“. Ministry of culture. Amman-Jordan, 2001. 2. Dubai Excellence Award, Consultative and Specialized Jobs, Dubai Program for Excellence Performance, Dubai – U.A.E, April 1999. 3. Ph.D Scholarship, Yarmouk University, Irbid – Jordan, August 1985. 4. Minister of Education Award, One of the Best Students in the High schools, Hartha Secondary school, Irbid – Jordan, Academic year 1972 / 1973.